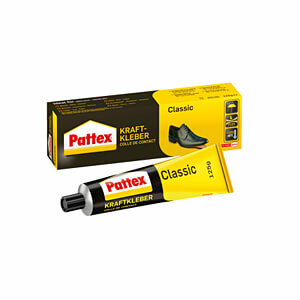 For universal application - Pattex Classic power adhesive is at the core of our contact adhesives range. Bonds quickly with superior adhesive force. This adhesive is easy to spread and is ideal for bonding different surfaces as well as for bonding veneers in complicated corners. Ideal for use in rooms. 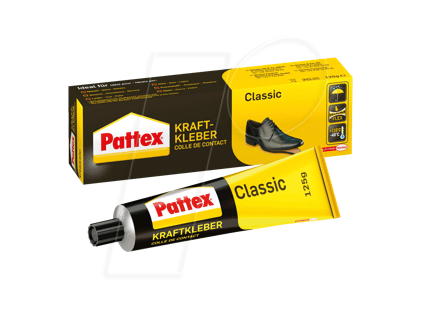 Can be used with a variety of materials, except for PE, PP and synthetic leather. Also suitable for laminates. High heat resistance. H225Highly flammable liquid and vapour. P403Store in a well-ventilated place.